Following 20 years of unique research, with unrivalled access to screening data and cardiac pathology – much of which has been funded by the charity Cardiac Risk in the Young (CRY) and led by world expert Professor Sanjay Sharma – these new internationally recognised ECG criteria are likely to lead to significant reductions in the number of “false positives” from ECG testing, confirming that this simple test is the most efficient way of identifying young athletes with undiagnosed cardiac conditions. Sudden cardiac death (SCD) is the leading cause of mortality in young athletes during sport. A variety of hereditary, structural, or electrical cardiac disorders are associated with SCD in young athletes, the majority of which can be identified by abnormalities on a resting 12-lead electrocardiogram (ECG). It is hoped that these recommendations will also have a significant impact on the next review of National Screening Committee (NSC) Guidelines for Cardiac Screening in the UK (2018) – as well as stressing the importance of the expertise and training required when conducting these specialist clinical screening services. In December last year, CRY suggested that the Government had “got it wrong” by listening to the NSC’s recommendations against the implementation of a UK cardiac screening programme for young people and that NSC reviews were based on flawed data and lack of access to new research. CRY data presented at the American Heart Association (AHA) Scientific Sessions (November 2016), also supported calls for proactive cardiac screening to be offered to all young people whether elite athletes, grass-roots players or the general population – citing a reduction in false positives (often used by Government advisors as an argument against screening) from 21.8% to 4.3% as well as a reduction in the cost of accurate heart screening of at least 20%. 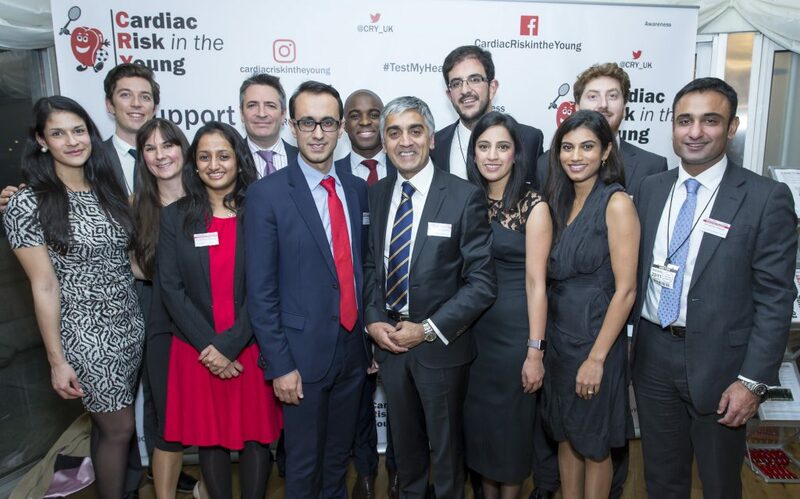 Every week, 12 apparently fit and healthy young (aged 35 and under) people in the UK die from a previously undiagnosed heart condition. In 80% of cases, there will have been no signs or symptoms, which is why CRY believes proactive screening is so vitally important – now testing over 23,000 young people every year through its subsidised programme. Sport itself does not cause young sudden cardiac death but it can exacerbate an underlying condition, if not identified. However, in Italy, where screening is mandatory for all young people engaged in organised sport, they have reduced the incidence of young sudden cardiac death by 89%. Since CRY was founded in 1995 CRY has tested over 100,000 young people, resulting in 100s of potentially life-threatening conditions being identified. Prof Sharma supervises CRY pioneering screening programme at no cost.